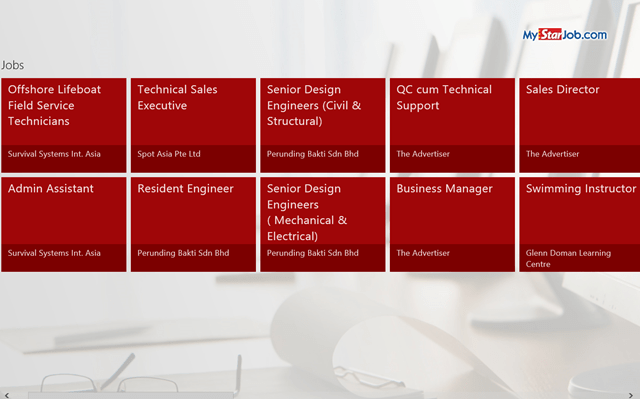 MyStarJob is a free Windows 8 job search app that helps you to decide your career path. Job Search is quite a peculiar and typical task to do. It’s quite a laborious activity to find a job of your own interest or intellect. So, you really need something which can solve your job searching problems. And, here is a solution for all your jobs related queries. In this fast and competitive world, it’s quite difficult to find an appropriate job. But, this Windows 8 app here, will definitely help you to explore all the jobs on the globe right in front of your eyes. You just have to install this app for Windows 8 and you can find all the kinds of jobs you are interested in. Now, you don’t have to search through various job portals and websites. You can have all the jobs in this world on your fingertips. 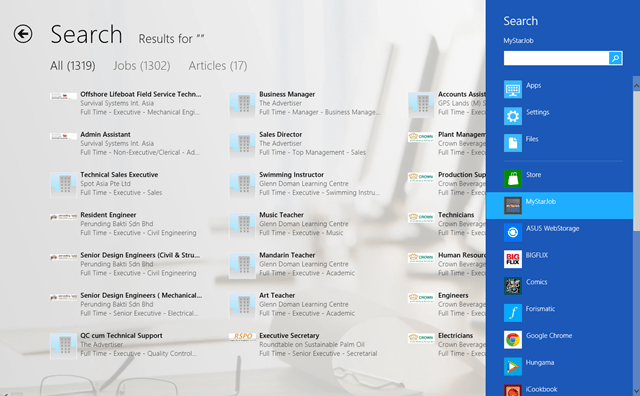 This is how the interface of MyStarJob Windows 8 job search app looks like and you can see all kind of jobs in here. Just click on any option and you can easily get the job description with the company profile and its location. 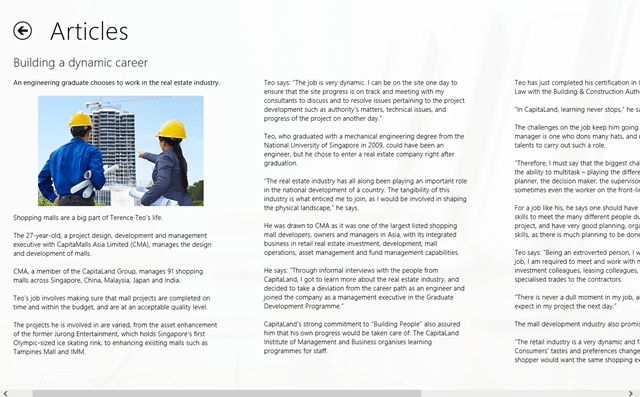 You can get all sort of information through this Windows 8 app regarding jobs. You can also read job related articles and can learn a lot of stuffs from these articles. You can get a lot of info from these articles on your job related queries. Read about real life experiences of people just like you who succeeded in their life. You can also use this Windows 8 job search app for extensive search also, just enter the keyword related to the kind of job you are looking for and you can find the kind of job you are searching for. Just click on the search option and enter the related keyword and MyStarJob will get you all the jobs and articles related to your query. Go ahead and download this Windows 8 job search app as soon as you can you want to have a good job. Else lean how to search an app in Windows 8 store.